Fresh out of high school, and wanting to take a different path to marine design, Neil undertook a 4-year boatbuilding apprenticeship at the C&C Custom Shop. Covering all aspects of FRP boatbuilding (lofting, framing, carpentry, fibreglass, painting, metal fabrication, electrical/mechanical, and propulsion), Neil became the first journeyman boatbuilder accredited in Ontario. The overall goal was to completely understand the building side of marine before continuing into the design world. Having completed a boatbuilding apprenticeship at the C&C Custom Shop, Neil was given the opportunity to work at the world-renowned C&C Design Group as a Junior Designer. Working with design legends George Cuthbertson, Rob Ball, Rob Mazza, Bill Dickerson, and Rod Gerrard, gave Neil the opportunity to learn all aspects of naval architecture and apply them to real-world projects. The knowledge gained while learning boatbuilding served him well, and under the watchful eye of design director Thomas Dean, was able to rise to a senior design position and project manager. Neil was a significant contributor to many projects and racing campaigns throughout his tenure. Born from an innovative idea, Neil and his brothers Paul, Ralph, Mark, and Cam, created Gilbert Yachts. The idea was to create a new kind of cruising sailboat that would be fast and easy to handle with a single person or small crew. 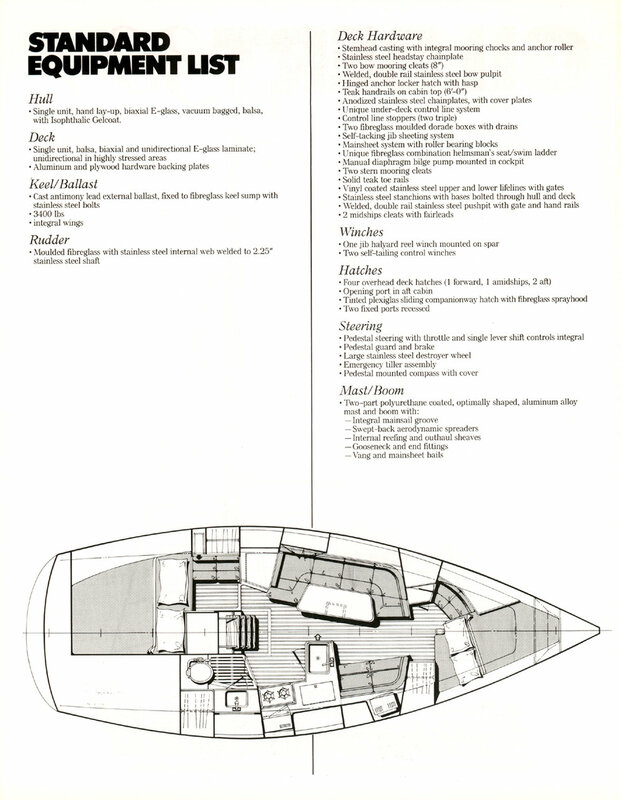 The Gilbert 30+ was designed by Neil with a long waterline and almost vertical stem to generate a higher hull speed, and as such had the interior volume of a boat 4 feet longer. All control lines were led back to driver via a proprietary under-deck system, and a new type of sailplan was designed. The result was a boat that won many design awards, and the Sailing World “Boat of the Year” in 1988. A total of 9 boats were produced and are highly sought after to this day. All of the innovative elements of the Gilbert 30+ have become commonplace in the industry today. Neil joined Doral Boats as Design Director in 1989. 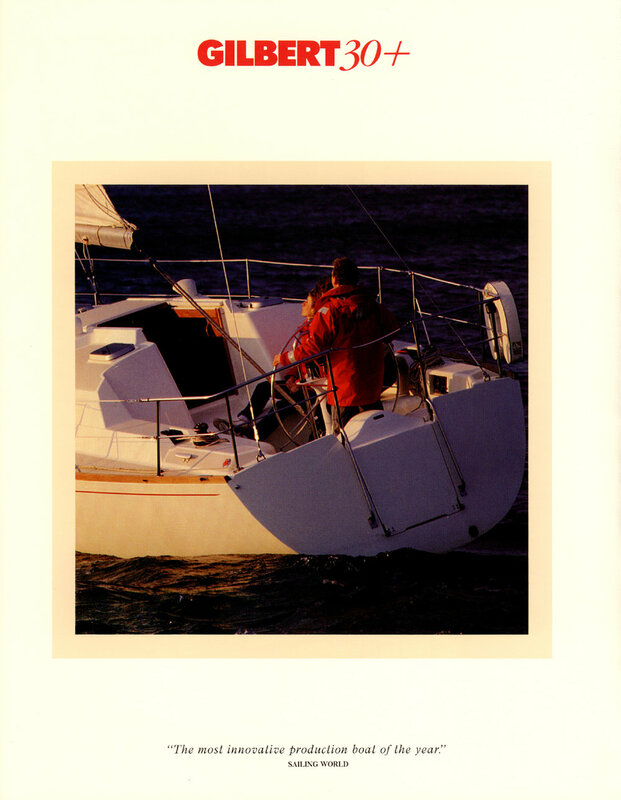 Tasked to develop a signature line of boats to augment a rapidly growing portfolio and company, Neil quickly understood the opportunity to bring sailboat design and manufacturing techniques to a less traditional market. These crossover design features and innovations moved Doral into a leading position in the North American market, and made the portfolio very appealing internationally. 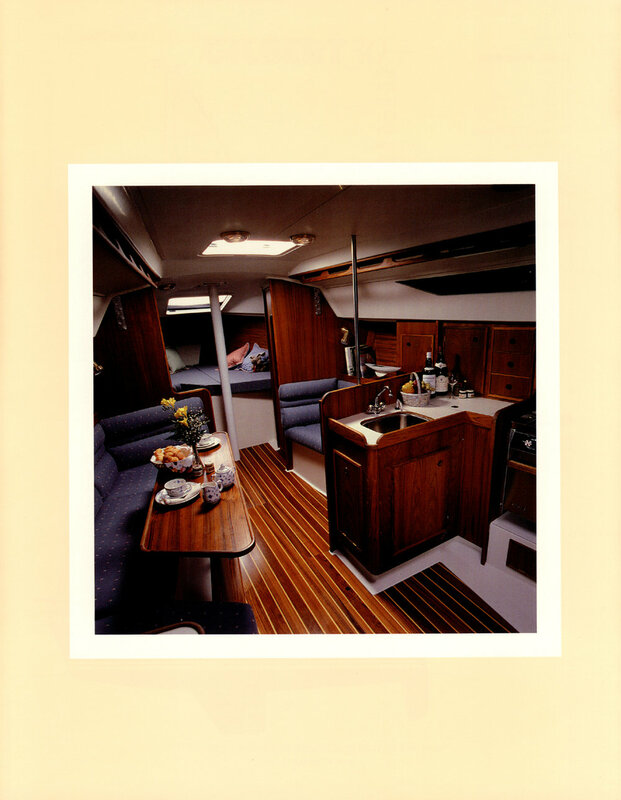 As Doral and Thundercraft merged in the early 1990s, Gilbert renewed the complete line which included several ground-breaking cruisers in terms of design styling and ergonomics. In all, Neil was responsible for the design and development of a staggering 34 models. Gilbert joined Campion Marine as Director of R&D and Chief Designer in 1994. Now acclaimed for his design work with Doral and others, he was mandated to create a full new line of boats in four separate market segments: runabout, fishing, high performance, and cruisers. Campion, a small but established and growing company situated in Kelowna, BC, was looking to create their own identity and brand through design. A monumental and courageous decision turned out well. Campion has grown to be Canada’s largest marine manufacturer with models sold all over the world. Neil designed 26 new models during his tenure and the very first design is still currently in production. This speaks to Gilbert’s passion for timeless design that has great appeal over time. Having completed the mandate at Campion, Neil began Gilbert Creative Group. After a successful first project with Malibu Boats, Gilbert Creative was signed to a design contract that is still in effect today. The freedom to stretch out into other disciplines allowed Neil to apply all his skills and experience to new challenges. The search for innovation and the future of marine design pushed Neil toward electric-powered boats, and he developed several models for builders in this space. Neil’s other passion for high performance manifested itself in Vector Powerboats. Under the leadership of Rex Jardine, Vector’s mission is meticulously crafted powerboats that break the paradigm for this type of craft. Privileged to collaborate with world-renowned designer Ocke Mannerfeld, the Vector portfolio is sweeping in its unique attributes of pure beauty and performance. In 2013 Gilbert took a one year sabbatical to build the Product Development division of Kingfisher boats. Kingfisher, an established and rapidly growing welded aluminum boatbuilder in western Canada, was ready for a product and brand facelift, as well as a new process going forward. Neil was on-site for a year and was able to quickly adapt to the new building process offered by aluminum. Visionary leader Byron Bolton trusted Gilbert to develop a new brand and identity for Kingfisher, as well as to bring new ideas and a fresh way of thinking to the development of aluminum boats.